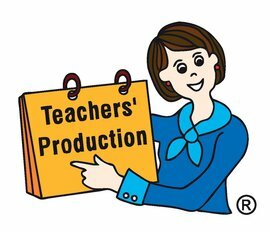 We at Teachers' Production are passionate about the education of our children. We seek to produce quality products that will enhance the teachers’ teaching and the student’s learning. Teachers’ Production was started to tap the talents and experiences of qualified teachers to produce quality teaching materials/resources for teachers and parents in Singapore. Zenda, mother of two, taught at Fairfield Methodist Primary School for 11 years and did a short stint at the Singapore American School before giving up full-time teaching. As author and illustrator for Teachers’ Production, she found a way to simultaneously work from home and care for her family. Thus far, her fun and yet challenging exercises peppered with catchy illustrations have been well-received. More than 100 local schools and others from Shanghai, Suzhou, Hong Kong, Thailand and Indonesia have incorporated her materials into their curriculum. Since the inception of Teachers’ Production in 1998, Zenda, a Mensa member, has been invited to conduct workshops for parents and teachers, been interviewed on 938 LIVE, parenting magazines and The Straits Times. She has also produced supplementary materials for CDAC and SINDA. She also co-wrote the P3 Celebrate English, workbooks and Teachers’ Guide. It is her sincere hope that all students will benefit from her work. More than a decade after she first started Teachers’ Production, Zenda’s children have grown up. Her daughter, who majored in English and Creative Writing and is a qualified English teacher, has found a vocation that gives her the opportunity to use her many talents. Her son recently graduated with First Class Honours from Imperial College, placing on the Dean’s List and obtaining several prizes for academic success in Biology and Management. Zenda is grateful for having had the opportunity to work from home and watch her children develop into sensible young adults. 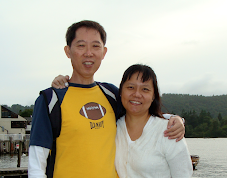 Zenda would also like to take this time to honour her husband, Jit Sheng, the unsung hero behind Teachers’ Production, for 31 years of friendship, 26 years of marriage and 14 years of business partnership. Jit Sheng was a “behind the scenes” man, who had a hand in everything, from formatting the books produced by Teachers’ Production to managing the accounting to driving the delivery van. Despite battling illness for seven long years, Jit Sheng remained cheerful, witty and unassuming. He was many things — IT expert, pillar of strength, wise advisor, and above all a devoted husband and father. Indeed he was always quietly and sacrificially supportive of Zenda and the children, never claiming any of the glory for himself. His eventual death on 30 November 2011 came as a great loss to Zenda and the children. He will be forever remembered and cherished. On behalf of Jit Sheng and their children, Zenda would like to express her gratitude to all who have touched their lives in one way or another. May the good Lord bless you as much as you have been a blessing to them. To God be the glory! 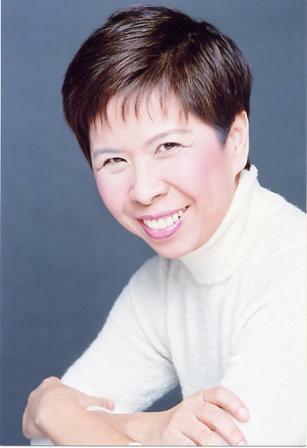 Ms Cheong Yuen Lin is a retired educationist with 42 years’ experience in handling children and young people. She taught in Tanglin Girls’ School for four years before being transferred to Crescent Girls’ School where she taught for another four years. After teaching fourteen years in Kim Seng Technical School, she was appointed Vice-Principal of Mei Chin Primary School in 1979. Ms Cheong was appointed the first Principal of Fairfield Methodist Primary School in 1983. Six years later, she was transferred to Ministry of Education as an Inspector of Schools. She remained in this post until her retirement in 1998. Ms Cheong was actively involved in teaching and counselling young people in her church for more than thirty years. She has written two series of English books “Speak Better English” and “Graded English” for use in primary schools, published a children’s cultural calendar, two cartoon booklets for young children, “Book of Manners for the Young” and “Watch Out, Beanhead”. She co-authored the book, “Reading and Understanding Book 1 & 2” and “Refocus Your Lenses”. She also helped to edit, “Be My Valentine” and “Cher Cher”. Dr. Cheah Yin Mee has more than 23 years experience in education and her career includes teaching in schools and working as a teacher educator. She obtained her postgraduate degrees from Stanford University and from the University of California at Berkeley. She writes and publishes in the area of language education and is an experienced speaker at conferences and workshops. She is a past president of the Society for Reading and literacy (SRL) and currently offers her voluntary services to the Chinese Development Assistance Council (CDAC) and the Association for Supervision and Curriculum Division (ASCD). She is the principal consultant of Learning Ventures. Learning Ventures provides in-service English language courses and consultancy services on language instructional programmes to schools and publishing companies. Learning Ventures was established in 1998, and its clients include the Ministry of Education, self-help groups, IT and publishing companies, and more than 45 schools in Singapore and Hong Kong. Pearly Chai has more than 40 years of teaching experience. She started her teaching career in 1965 and over the years has taken on many leadership roles besides her teaching duties. She had been a REAP coordinator (1987 to 1989), a Lower Primary English Coordinator (1990 to 1998) and a Senior Teacher (1996 to 1998). 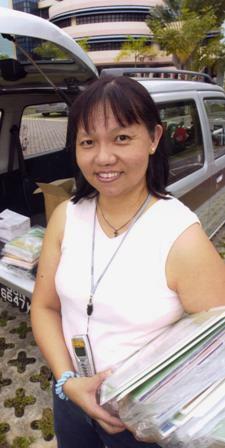 She was seconded to National Institute of Education, NTU as a Teaching Fellow (1998 to 2000). She was a Senior Teacher at Punggol Primary School (2001-2006) before she took on the responsibility of English Language Teacher Developer, also at Punggol (2007 to 2009), and then later at Griffiths Primary School (2010 to March 2011). Her dedication to education has won her several accolades and awards. Her achievements include the National Day Efficiency Medal (1977) and Long Service Award (1997). In 2004, she was conferred the Associate of Teachers' Network Award and in 2006, the 2nd Award, for significant contribution to the professional development of teachers. She has regularly shared her teaching experience and knowledge by regularly contributing to educational publications. Her articles have been published in NIE and SRL newsletters, ELLTA(s) and TELL magazines, ASCD Review and SEAMEO Regional Language Centre, “Who is the Most Talkative of Them All”. 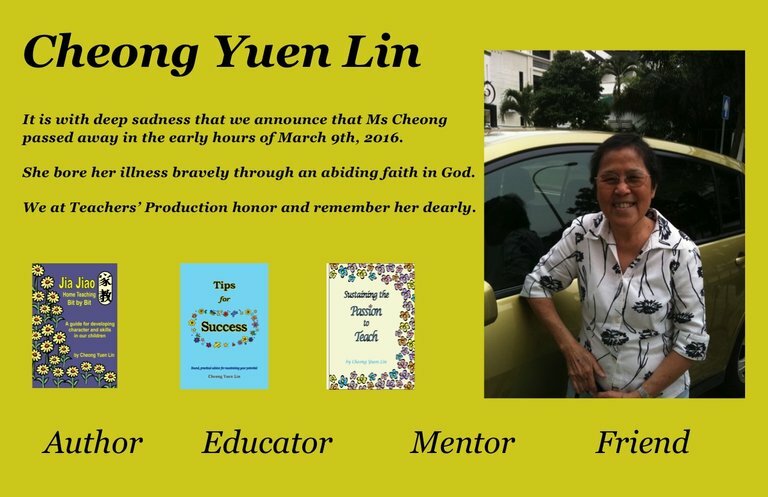 She has given workshops and lectures on pedagogy at Teachers’ Network, NIE, DAS (Dyslexia Association of Singapore) and to teachers in and from China. Pearly would like to dedicate her book in memory of her brother, Churchill Chai Ai Kok, who had been her exemplar in good penmanship. She is grateful to her sister, Goldly, and her niece, Adeline, for their invaluable encouragement and support. She also expresses her thanks to Zenda for enhancing the book with the Bonus Box activities and the beautiful illustrations. In keeping with her beliefs, she would like all royalties from her series of books to be given as love gifts to mission work and community service. Zealyn has served Teachers' Production as its Publishing Manager for the past 6 years. She is actively involved in the publishing process, with hands-on experience in editing, writing and customising practice exercises for our local schools. For the love of language and in order to further hone her skills in teaching, reading, writing and curriculum development, Zealyn is currently pursuing a Masters degree in Applied Linguistics at National Institute of Education (NIE). As a girl, Zealyn was an avid reader, devouring books at a rapid pace – once, she even finished the entire Lord of the Rings trilogy in a 24-hour reading marathon. Now, she wants to consider how to impart the love of books and the art of intelligent reading to future generations.